This book offers a fresh account of the Anzac myth and the bittersweet emotional experience of Gallipoli tourists. Challenging the straightforward view of the Anzac obsession as a kind of nationalistic military Halloween, it shows how transnational developments in tourism and commemoration have created the conditions for a complex, dissonant emotional experience of sadness, humility, anger, pride and empathy among Anzac tourists. 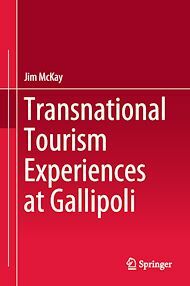 Drawing on the in-depth testimonies of travellers from Australia and New Zealand, McKay shines a new and more complex light on the history and cultural politics of the Anzac myth. As well as making a ground breaking, empirically-based intervention into the culture wars, this book offers new insights into the global memory boom and transnational developments in backpacker tourism, sports tourism and “dark” or “dissonant” tourism.